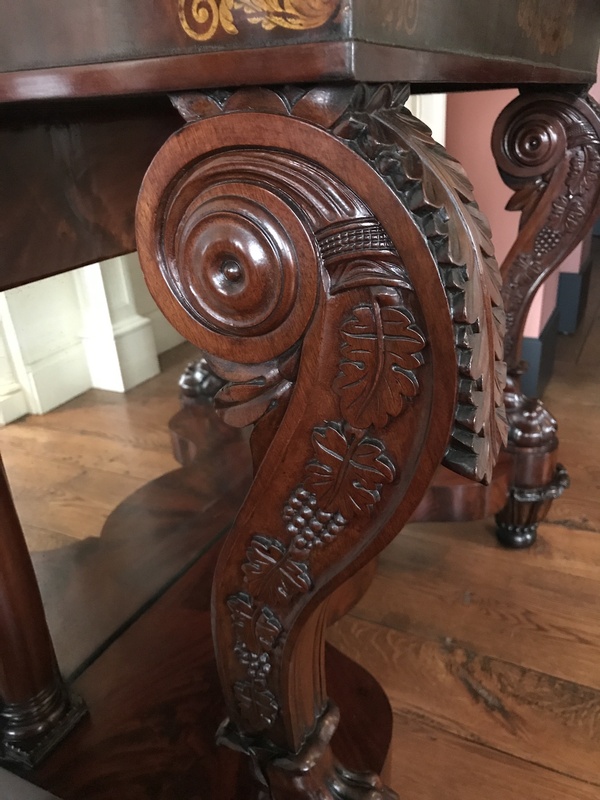 The creator of this beautiful pier table is attributed to be the renowned Philadelphia cabinetmaker Anthony G. Quervelle. A thick slab of Carrara marble rests on a coved apron with gilt stenciling in the center and gilt anthemion designs at the corners. 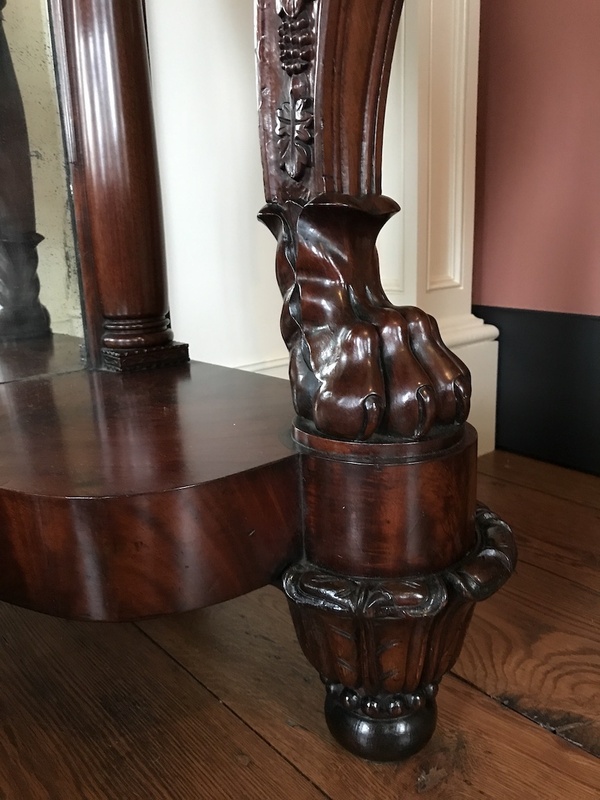 Bold scroll supports with acanthus carved knees end with lion’s paw feet. The sides of the scrolls are decorated with grapevines. 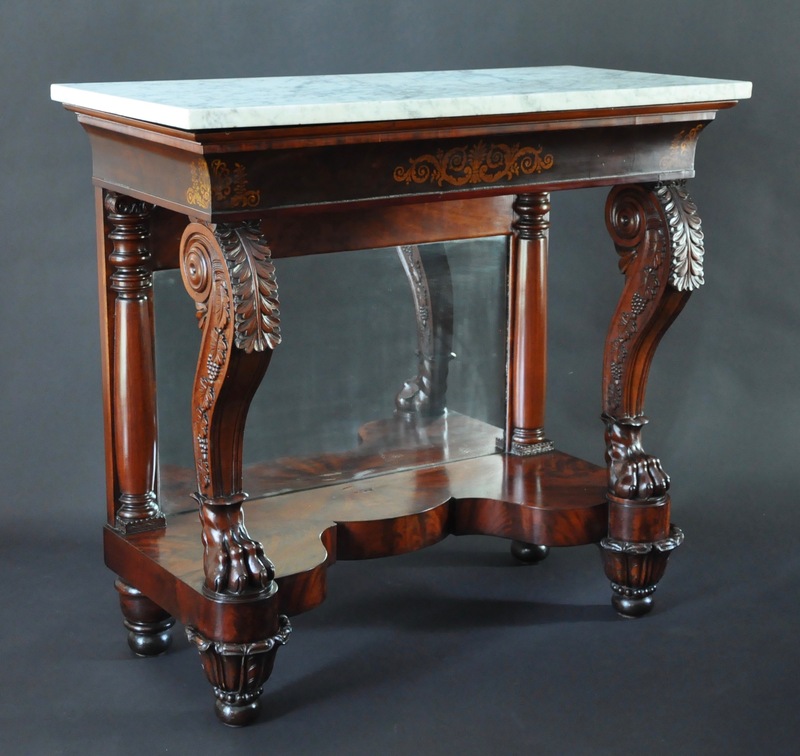 The plinth exhibits the typical Quervelle pier table shelf profile and is centered by a veneered demi-lune of crotch mahogany. 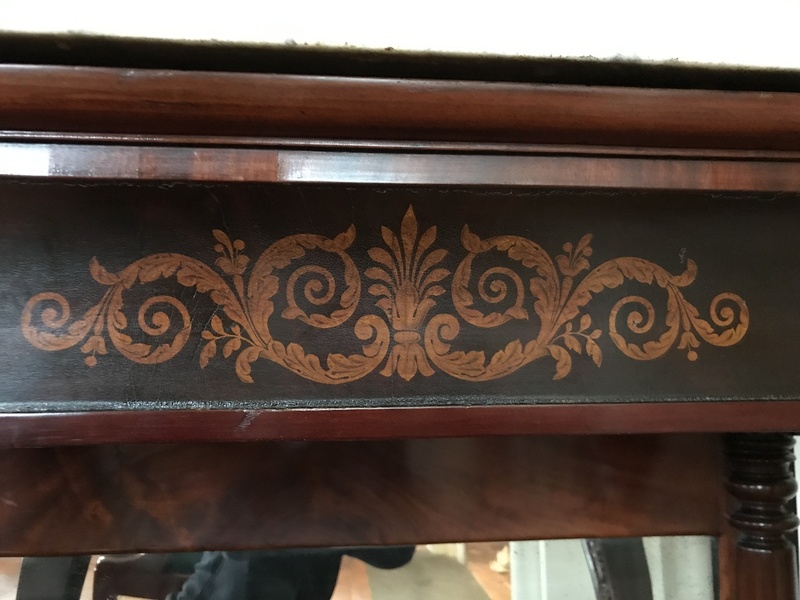 The mirror plate is flanked by half-round engaged Doric columns. The piece is raised on leaf carved and turned feet. A nearly identical Quervelle attributed table is illustrated and discussed in Robert C. Smith’s article, “Furniture of Anthony G. Quervelle (Part I),” The Magazine Antiques (May, 1973), fig. 4, p. 985.